If you think holidays are over, think again! 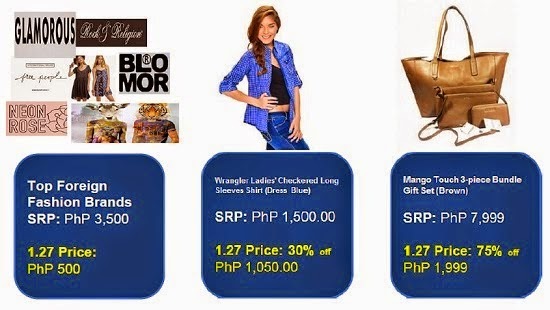 At Lazada, they're extending the holiday cheers this 2015 by another grand sale happening this midnight! Because of the successful Lazada Online Revolution 12/12 which made an impressive statistics of 12 times more orders, 10 times more new shoppers, and 15 times more returning customers just for that single day, they are launching the Chinese New Year Kick-Off Sale. 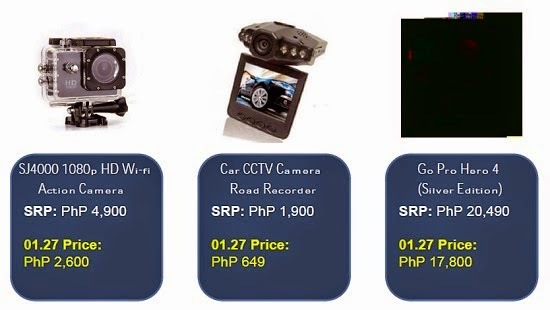 The sale will start at 12:01 AM of January 27 and will end on 11:59 PM of the same day. 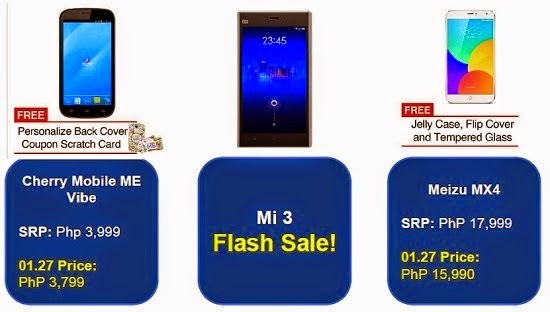 Let's welcome 2015 with a bang together with Lazada Chinese New Year Sale! Awesome deals of as much as 88% off on select best-selling items, flash sales, and surprise items will be offered at www.lazada.com.ph/chinese-new-year/. To know more what's in store for you, click CONTINUE READING now! Here's a little teaser of what to expect from Lazada Philippines Chinese New Year Sale, grab your pen and paper or better yet bookmark this page now! Here's for the health and beauty conscious individuals! My eyes are glued with MAC Lipstick! Fashinostas unite! OOTD essentials that will rock your world! 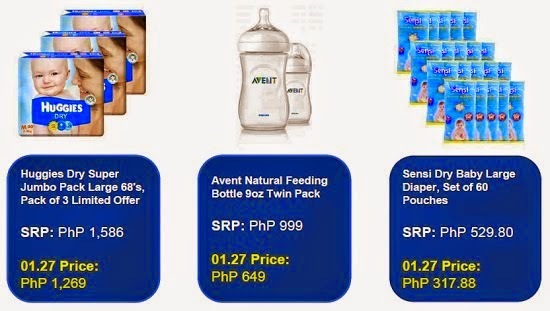 To all the mommies and moms-to-be, you might wanna check this out! 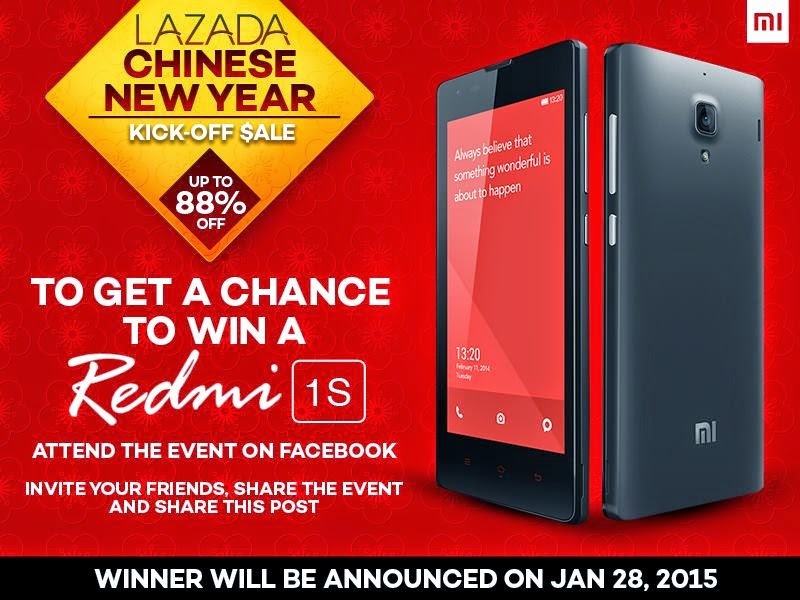 Aside from these jaw-dropping deals, Lazada Philippines is giving away one Redmi 1S at their Facebook page. All you have to do is attend the event HERE and follow the easy peasy steps posted on the event page. I'll also be giving a 500 discount voucher on top of the sale items (with minimum purchase required) that I'll be posting on my Facebook page Dear Kitty Kittie Kath. 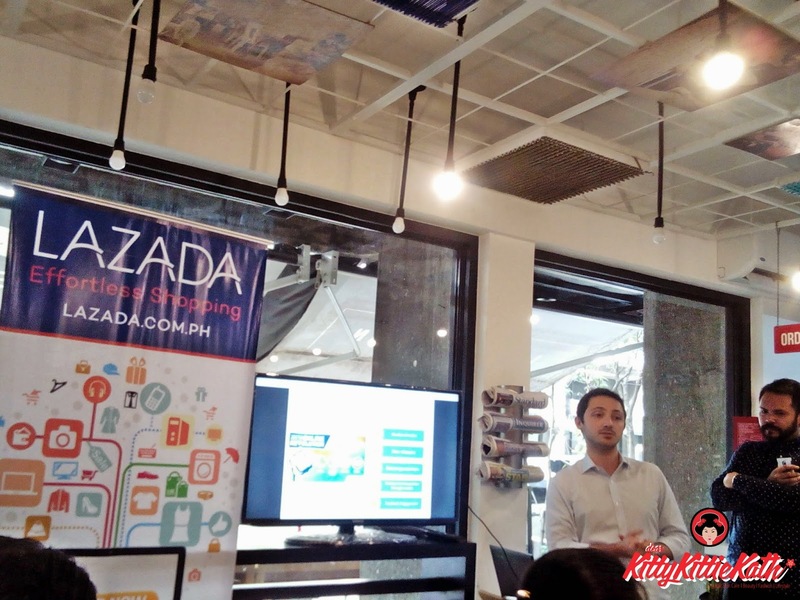 Lazada (www.lazada.com.ph) is Philippines’ largest online shopping mall and is pioneering e-commerce by providing a fast, convenient and secure online shopping experience combined with an extensive product offering in categories ranging from mobiles & tablets and consumer electronics to household goods, toys, fashion and sports equipment. Lazada is continuously striving to offer its customers the best possible shopping experience with multiple payment methods including cash on delivery, extensive warranty commitments and free returns. Lazada mobile applications for Android, iPhone and iPad provide additional convenience to its consumers’ allowing them to shop anywhere, anytime. 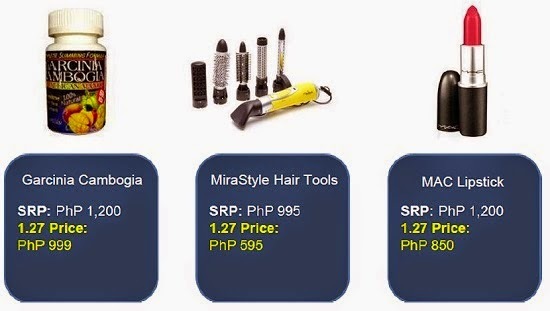 For more information, please visit http://www.lazada.com.ph. For updates on Lazada’s latest innovations, as well as activities, contests and promotions, connect with us via Facebook (https://www.facebook.com/LazadaPhilippines). thanks for sharing the information :) i actually shopped at Lazada and i save a lot and no more hassle that is one advantage of online shop.